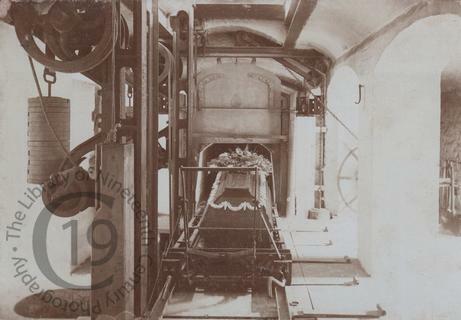 A cabinet card showing a coffin about to disappear into the oven at a crematorium. The photograph also gives a rare glimpse of the rails, machinery and counterweights which propelled the coffin through the oven. Photographed by B. Münchs of Gotha in Germany.